We spent Friday in beautiful Galilee touring the places where Jesus taught and preached. On Saturday, we moved south from Galilee to the area of Jericho. Our Friday in Galilee consisted of both upper Galilee (Ceasarea Philippi) and lower Galilee (the area around the Sea of Galilee). I love Galilee. It is green and vibrant. The Galilean people seem to be a wonderful mix of backgrounds which show up as warm and delightful. 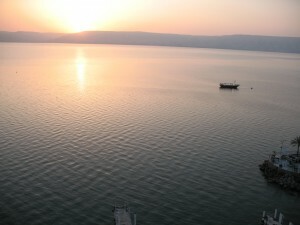 I think of Galilee and specially the Sea of Galilee as one of the most beautiful and inspiring places I have ever visited. Recently, I read through Mark (only 16 chapters). The first six chapters are fully set in Galilee and most of the first nine chapters are in the area. Think of all the things that happened in Capernaum, Nazareth, Ceasarea Philippi, Bethsaida, Cana, and Nain. God did many mighty works through Jesus in Galilee. Jesus remarked about the faith of some and the lack of faith in others: “Woe to you Chorazin! Woe to you, Bethsaida! For if the miracles that were done in you had been done in Tyre and Sidon, they would have repented in sackcloth and ashes long ago!” (Matthew 11:21). 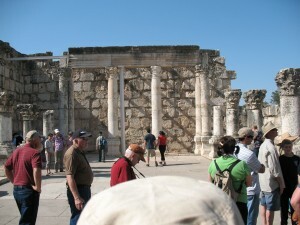 The wonderful story of the centurion occurred in Capernaum (Matthew 8:5-13). A Roman Centurion pleaded with Jesus to heal his servant. Several aspects stand out about this man. First, he obviously truly cared for his servant. He told Jesus that his servant suffered in agony. This man could find any number of servants, yet he cared for this one. Second, he simply asked Jesus to heal. 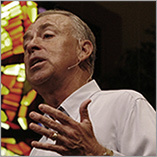 He recognized that Jesus would not have to be present for the healing to occur. He asked Jesus to speak the word. Third, the Centurion demonstrated a deep faith. Jesus said: “I assure you: I have not found anyone in Israel with so great a faith!” (Matthew 8:10). Later, he told the Centurion to go his way “as you have believed” (Matthew 8: 13). What about you? Do your prayers and faith match up? Or, do you pray without any expectation that God can or will do what you ask? Jesus left His hometown of Nazareth because of their lack of faith. Can you imagine what they missed? Are you missing out on God? Have you relegated Him to Sundays only? Are you living as a practical atheist, praying meaningless prayers without any idea that there is a God who hears and who wants to work in your life? 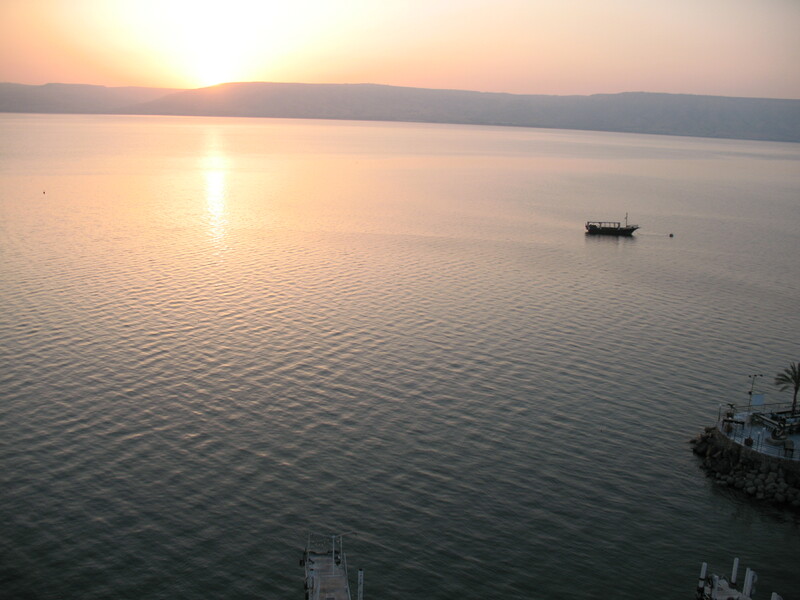 “I think of Galilee and specially the Sea of Galilee as one of the most beautiful and inspiring places I have ever visited.” – I agree with this wholeheartedly. Also, I am currently preaching through Mark . Would you mind if I “borrow” your sunrise picture? Thanks for reading and commenting. Please feel free to use the picture (thanks for asking).